Konga is giving you an early Easter to remember with a 25% off all items offer this March 2016. Starting from 18th of March to the 21st of March, You can get a whooping discount of 25% upon all items on Konga.com . 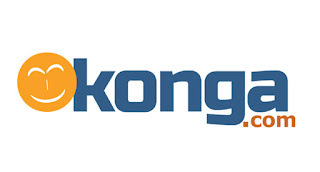 The various items you can purchase on Konga and get the discounts include Fashion, Appliances, Kids and Toys, Home and Kitchen, Selected phones and Electronics, Food and Drinks and so on. The fact that this offer comes early before Easter is a sign that you have to hurry up before the item on your mind runs out of stock and by the way, Konga promises to get your ordered items delivered before Easter.